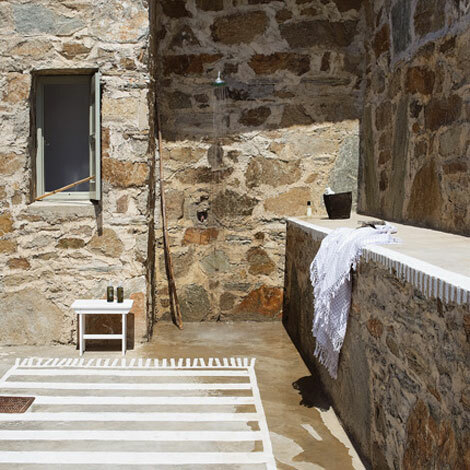 ... a greek island hideaway. 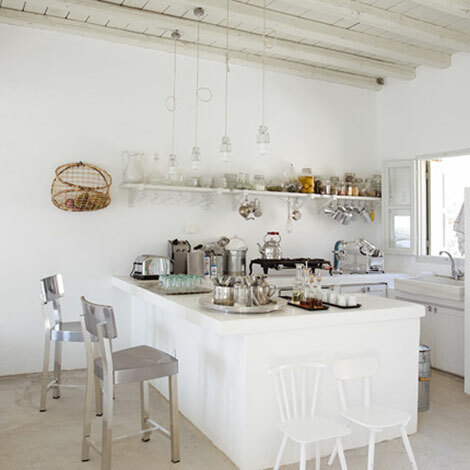 i've always loved this house by italian designer, paola navone (her porcelain utensil jars are my kitchen stables by the way!). lots of her objects were found at athens flea markets + bazaars. the painted "rugs" are brilliant, don't you think?